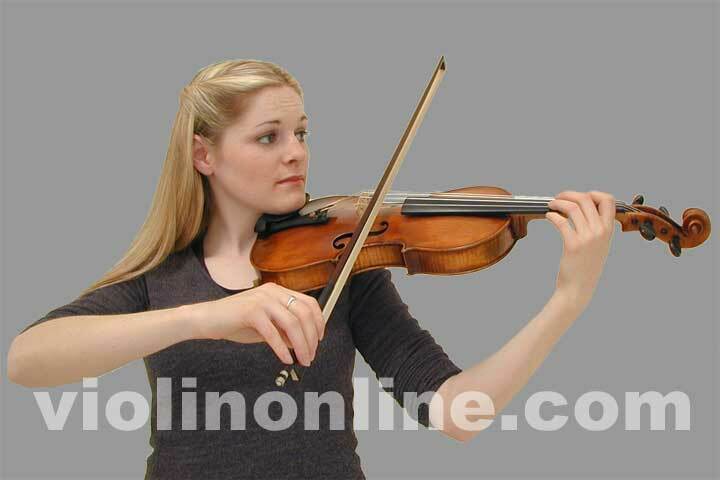 Want to know the proper way to hold your violin? 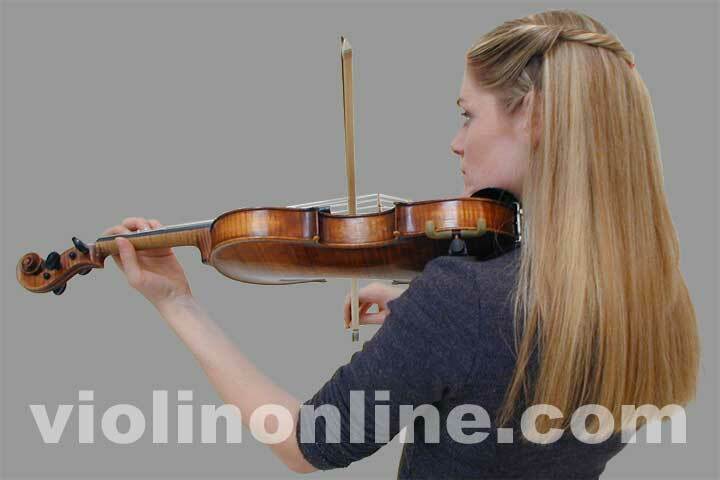 The violin is held horizontally (parallel with the floor) and is angled to the left of a straight forward position. Place the violin on your left collar bone (some violinists prefer the soft spot just behind the collar bone), and rest the left side of your jaw on the chin rest. Many violinists find shoulder rests helpful to hold up the violin, and there are a variety of shoulder rests available. Some violinists use round make-up sponges (attached with rubber bands), and others use shoulder rests that feel most comfortable to them. Visit our Music Store - Violin Shoulder Rests for sample styles. The elbow should be under the center of the violin. Keep the wrist gently rounded. 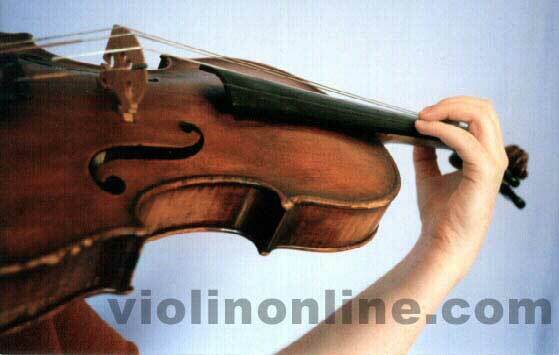 Avoid resting the wrist against the violin neck. The thumb should be opposite the first or second finger. Maintain a curved, open space between the thumb and index finger (a backwards "C"). When standing, stand straight with feet shoulder width apart, and with relaxed knees. Some violinists recommend sliding the left foot slightly forward. When seated, use a chair with a firm base, and sit up straight (soft sofas aren’t recommended). Some violinists sit towards the front of the chair, and prefer placing the left foot slightly forward.